Free the hand and wrist from writing induced stress with the GripTec pen grip. 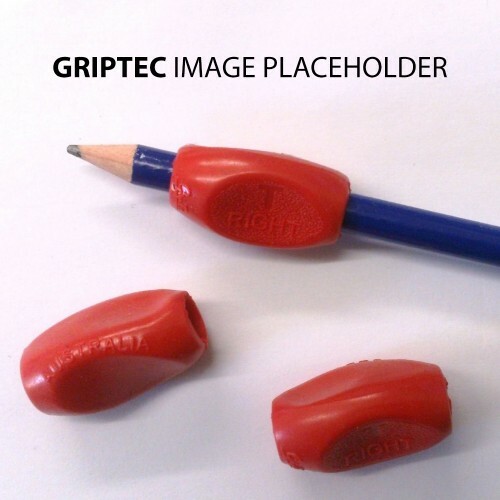 A simple writing tool that makes a big difference over time, the GripTec pen grip comes in left and right variants and is made and designed in Australia.
. Thermo Plastic Rubber, Non-Toxic, Latex Free. -Easy to attach/remove from conventional pens or pencils. -Recommended by handwriting experts and physiotherapists. -Made from non-toxic, latex free, thermo plastic rubber. -Ideal for professionals, students and clerical staff. -Encourages the correction of inefficient pen holds. -Ergonomically designed to improve handwriting proficiency. -Contoured finger grips to utilise the Tripod Grip. Be the first to review “Grip Tec – Personal Order” Click here to cancel reply.